Comfortable and casual this apartment sofa can be customized to perfectly reflect your home's style. 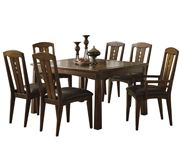 The compact design of this piece make it perfect for smaller rooms and apartment living. 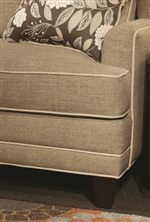 Available as shown this sofa is covered in a taupe colored linen upholstery with white piping details you can also choose from an extensive catalog of upholstery options. Three seat and back cushions are semi-attached to keep a tidy appearance and are filled with high quality foam cushions. 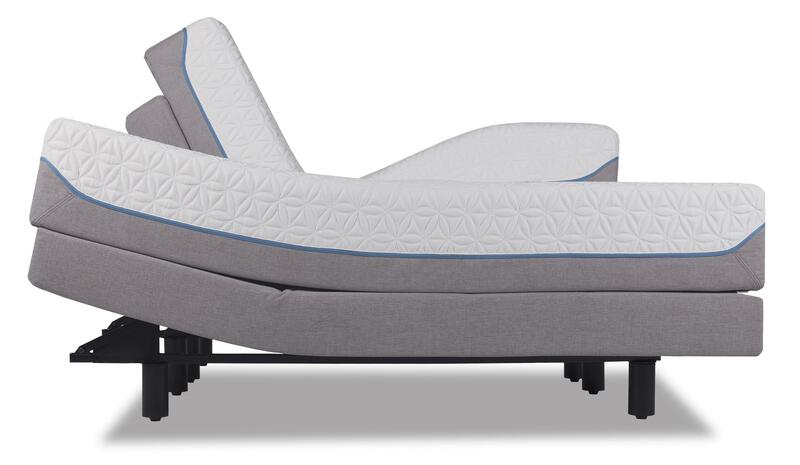 Stowed away inside the frame is a convenient full size sleeper for when you have extra guests. 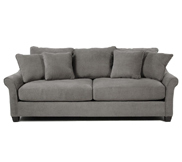 Completing the modern design of this sofa are thick tapered legs and contrasting piping details. The Tanner Contemporary Apartment Sofa with Full Sleeper by Marshfield at Conlin's Furniture in the Montana, North Dakota, South Dakota, Minnesota, and Wyoming area. Product availability may vary. Contact us for the most current availability on this product. 1979-05 Full Sleeper 1 70" 38" 38"
1979-35 Apartment Sofa 1 70" 38" 38"
Add a fun, contemporary look to your home with this modern living room collection. Geometric shapes are created by the sharp lines of the arms and are outlined by contrasting piping. 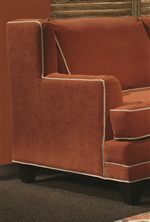 Thick block legs are finished in a warm brown color that will match almost any upholstery option that you choose. 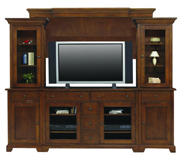 Each piece is expertly crafted right here in the USA in Marshfield, WI and are built to order so that your piece will look just as it did on the showroom floor. 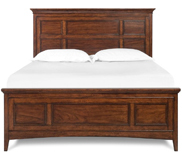 The Tanner collection is a great option if you are looking for Contemporary furniture in the Montana, North Dakota, South Dakota, Minnesota, and Wyoming area. 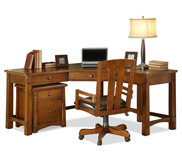 Browse other items in the Tanner collection from Conlin's Furniture in the Montana, North Dakota, South Dakota, Minnesota, and Wyoming area.